WELCOME TO T-JOE'S STEAK HOUSE & SALOON Make plans to bring family, friends or come alone and meet new friends at the saloon. T-Joe's offers two pool tables, dart games, free shuffle board and a pull tab parlor. This is all set in a rustic western atomsphere. Be sure and plan on dining with us. 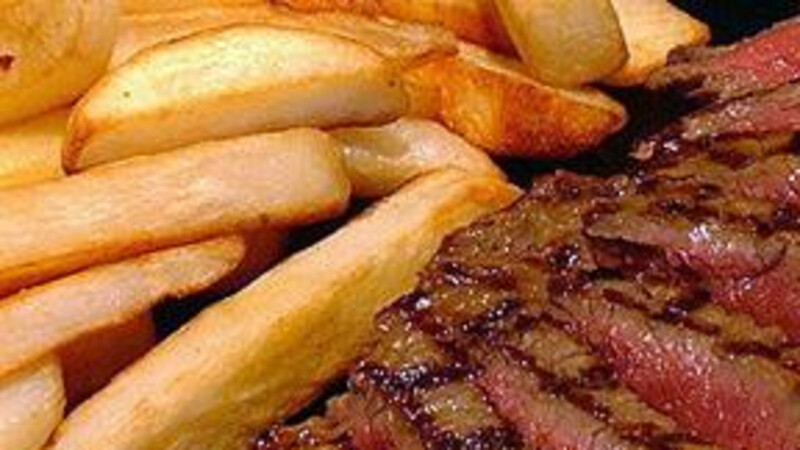 Steakhouse offers casual dining. Full menu from sandwiches, steaks cut fresh daily,pork, poultry, seafood, soups, fresh salads. Be sure and experience our slow cooked prime rib, or our T-Joe's rib eye steak. Bar hours Monday - Saturday 10am to 2am Sunday 11am to 2am Steak house Lunch Monday - Saturday 11am to 4pm Dinner Monday - Saturday 4pm to 10pm Sunday 4pm to 10pm T-JOE'S is proud of our freedom to offer smoking in the bar area. Our dining area is smoke free.